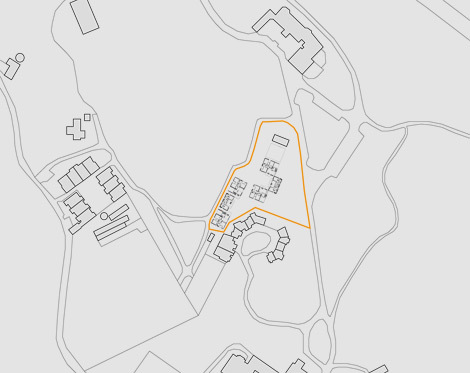 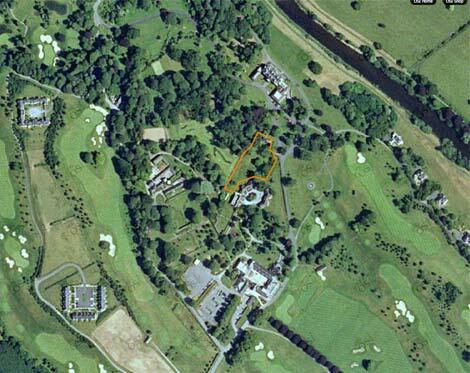 Located in the mature landscape of the Mount Juliet estate close to the main house the proposal called for the provision of 12no. 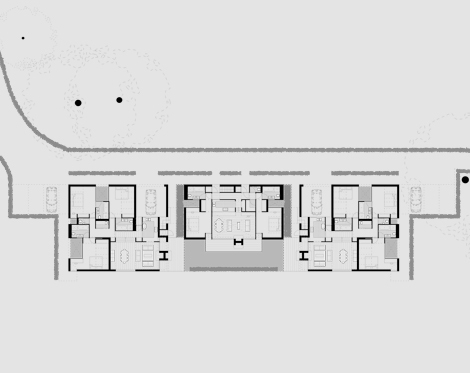 houses with a mixture of 2 and 3 bed units. 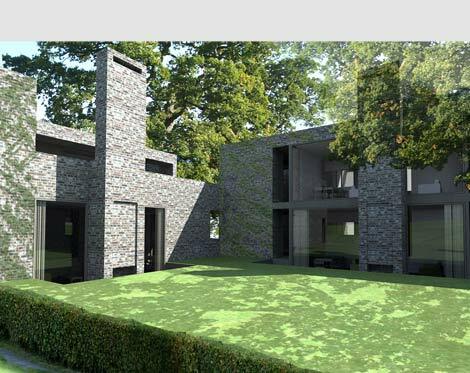 The houses were grouped together in two slipped blocks of six units, set around private gardens with an open lawn between them to reduce the disturbance to the site and ensure the retention of the existing mature trees. 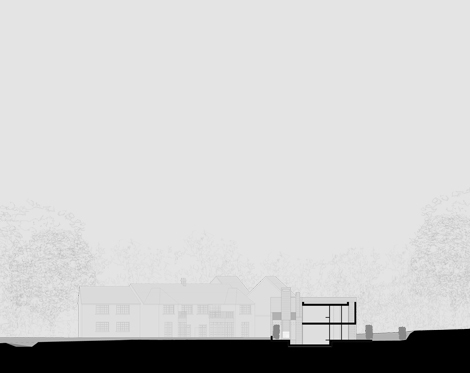 All traffic movement and parking was kept to the perimeter and broken up to reduce its visual impact. 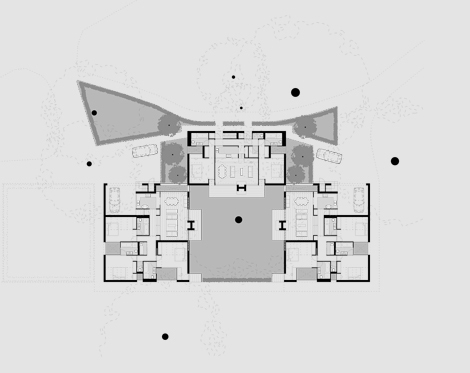 The first block was set out parallel to an existing caretakers lodge with a formal garden created between while the second block sat parallel and adjacent to the existing boundary and pathway. 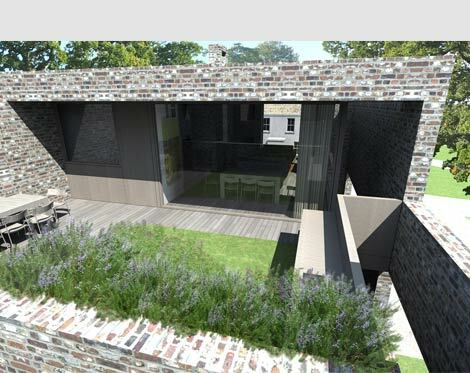 Externally the buildings were faced in a rough textured recycled brick with aluminium windows and reveals. 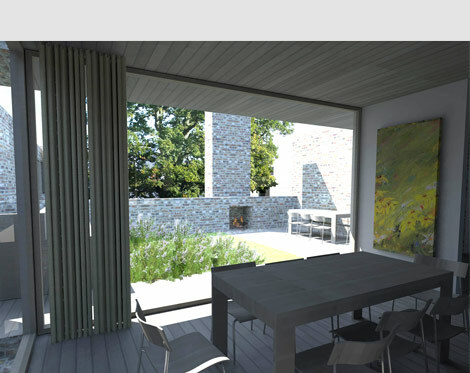 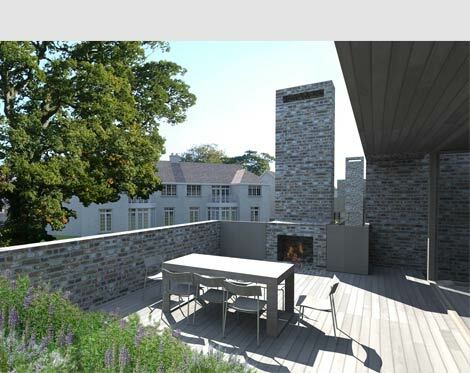 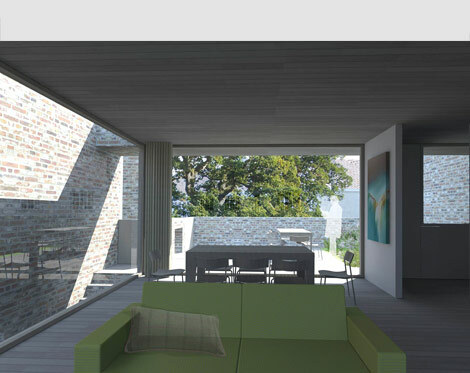 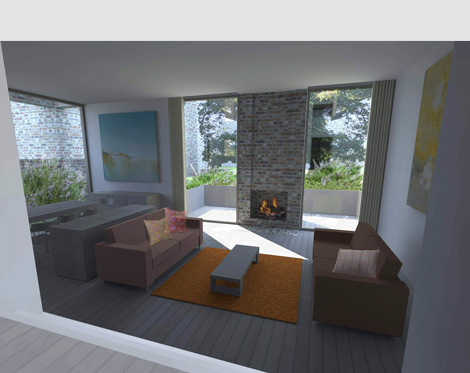 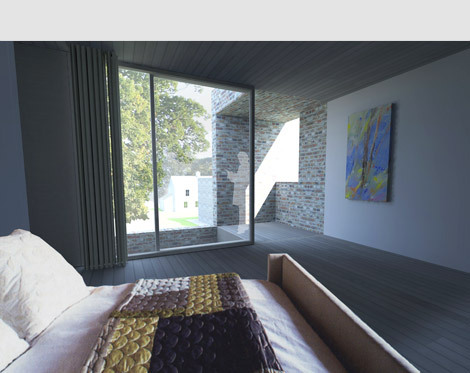 External terraces, served by fireplaces, formed outdoor recreation areas on ground and first floor. 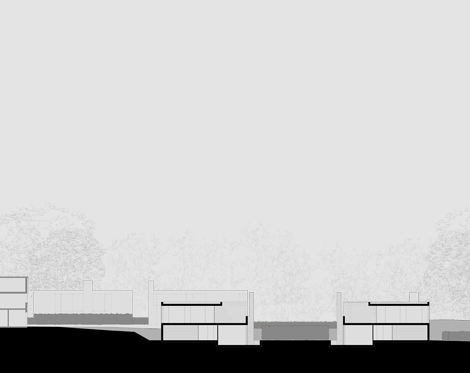 An extensive accompanying landscape strategy of beech hedges and lavender beds was proposed to further integrate the buildings with their site.